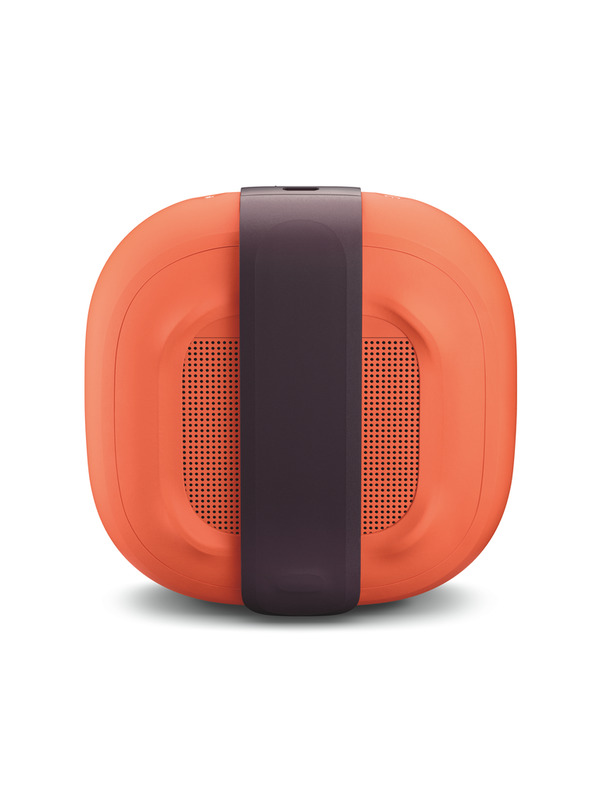 When a speaker this small sounds this good, you’ll never leave it behind. 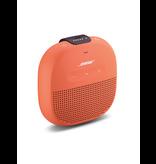 The SoundLink® Micro Bluetooth® speaker delivers unmatched sound for its size. 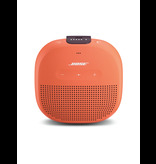 Bose® technology makes this little speaker play loud and clear outdoors, thanks to the custom-mounted transducer and passive radiators. 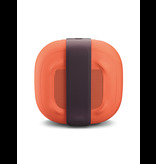 The tear-resistant silicone strap lets you attach it to your backpack or cooler, and bring it wherever you go. It’s waterproof, too—from the inside out, with materials like silicone that keep water from getting in. And it’s been rigorously tested to meet an IPX7 rating, which means if it falls in the pool, just pull it out and keep on playing. Its soft, rugged exterior protects against dents and scratches, so you don’t have to worry if you drop it on the sidewalk or if it lands in the sand. 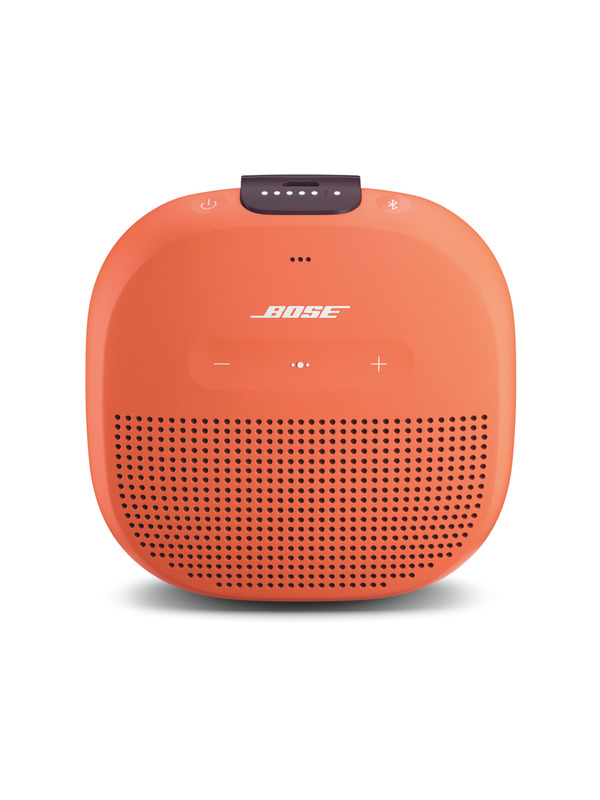 The battery lets you enjoy up to 6 hours of crisp, balanced sound per charge. 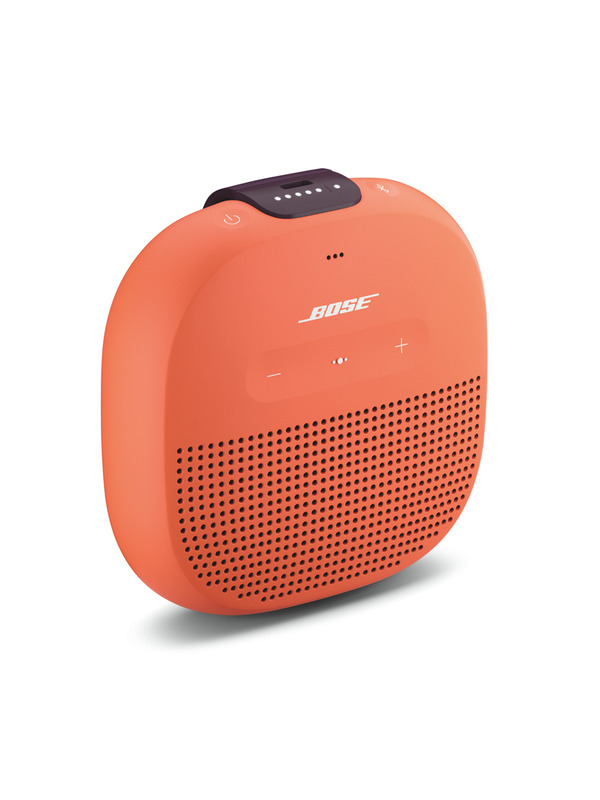 And voice prompts make Bluetooth® pairing simple. Press a button to take calls directly through the speaker, or access your phone’s Siri or your Google Assistant™. Have two of these handy? Pair them together for Stereo or Party Mode with the Bose Connect app. The app also helps you manage your devices, unlock features and access future updates. It even works with Amazon Echo Dot for hands-free voice control. Take calls and access your phone’s Siri or your Google Assistant™ right from the speaker.